We have a new GREEN TEAM ! We have lots planned for this year. We're kicking off with Catholic Schools Week where we will use some of our garden produce to help make lots of healthy, yummy for for our "Food for Life Picnic". All proceeds go to Caritas Australia to assist developing nations educate their people on how to grow their own food and live in a sustainable community. We can't wait! In the Fiacre's Food Garden we harvest seeds and we have a greenhouse where we plant seeds and let them grow until they are big enough for the garden. When we harvest seeds we plant them straight away. In our garden we have lettuce, tomatoes, peas, beans, cauliflower, cucumber, strawberries, corn, carrots, basil, rocket, coriander, patatos, capsican, blueberries and passion friut. 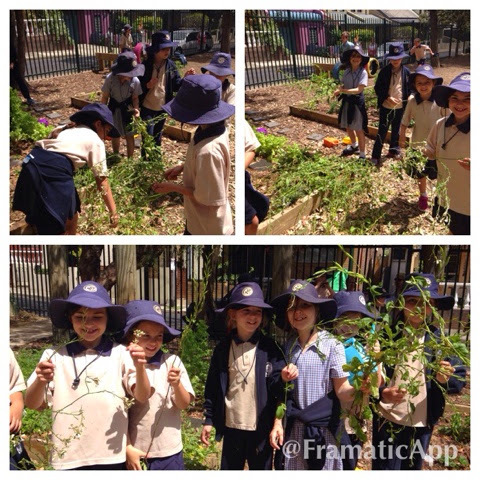 The teachers that help us in the garden are Miss Belim and Miss Nashaty. They teach us how to plant different seeds including herbs and vegetables.Other things they teach us is how to mulch the garden and how different plants need different amounts of water. When the beautiful fruits, vegetables and herbs are ready to pick we use some of it in our kitchen lessons. So far in the kitchen we have made wheat tortias and garden sald with dressing. My favourite thing about kitchen is we always try new things and use fresh ingredients. Our compost is ready for our food garden and look at how many worms we collected! 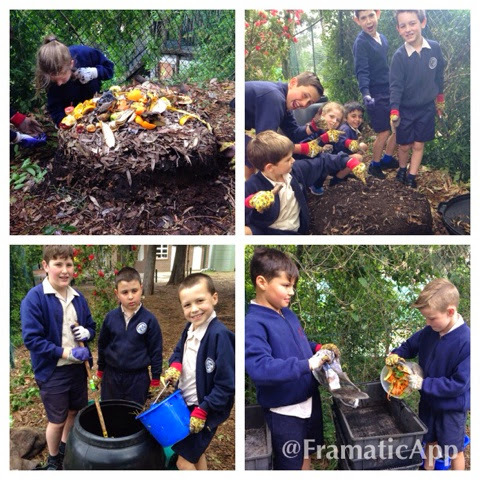 Collecting beautiful rich compost that we have been looking after all year. Collecting worms from the compost to establish another worm farm. Collecting food scraps from the Kitchen lesson to feed the worms. Mixing the compost into our food garden. Starting a new compost bin. 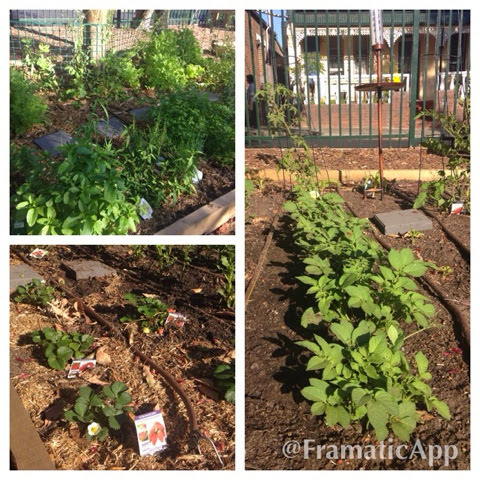 After a few months Fiacre's Food Garden is blooming !! !